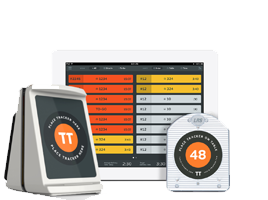 The Table Tracker System is the perfect system for casual fast food restaurants, busy restaurants and cafes where locating customers can be a struggle. Staff are able to track the customer right down to the exact table number, this alone will speed up your delivery time and improve your staffs performance. Table Tracker has taken cafe orders from a 30 minutes wait for toast to a 5 minute wait! Now that is an improvement. Customers are tracked down to the table numbers allowing staff to deliver the order quickly and correctly, this will over time generate faster table turns and improve your delivery service. Staff are now able to deliver more orders without any confusion or stress. Investing in table tracker will without a doubt pay for its self in a month if that. Not only is the TT perfect for customers that are dining in but also can be used to manage orders that are for take outs. Red: indicates the order has gone past the maximum time. Yellow: indicates that the order is nearly hitting the maximum time that's been set. Green: indicates that the order is below maximum. These colour codes can help improve your customer service with the data that is collated you can then analyse it and change it. 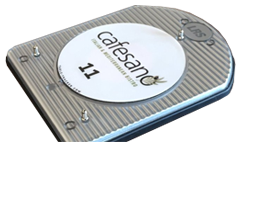 Run your cafe/restaurant the right way with LRS Table Tracking system. The system is the perfect solution for busy restaurants with a small amount of staff. 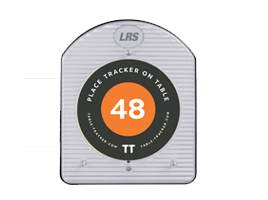 Your customers are located by the tracker, once they have ordered and paid for there food customers are handed a tracker that can be placed on the table, as soon as the tracker is placed on the table staff are aware what table they are sat at. The tracker is picked up by RFID tags located under each table in your restaurant/cade, once the tracker is placed on the table it will automatically show up on the iPad table tracker application, This is great because even is a customer moves tables the system will update with the new table number ensuring that staff wont loose the location of the customers. 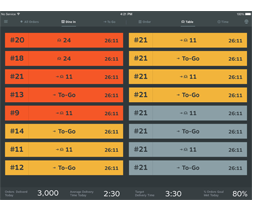 You can also custom design your tracker so that you have your logo and information about what to do with the tracker for your customers to see and so there is no confusion on where to place the tracker. The table tracker application is available on IOS. The app allows your staff to see the data on screen which can be backed up to LRS connect for you to gather and analyse so that you can improve your staff and your customers wait times. The table tracker application only works on the IPad and is a free application for you to download. If you require any more information on the Table Tracker System then please contact us today on 01782 537000 or fill in our online contact form.